Received these 4 designs by writing and sending appropriate money. This is a convenience store on the highway between Many, LA and the Texas border. 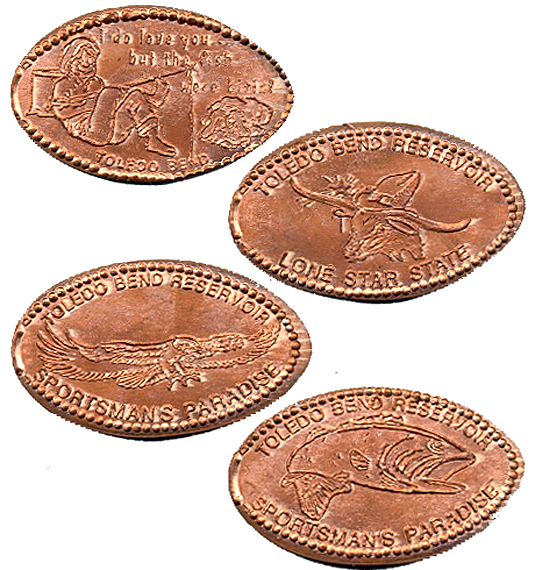 All of the coins reference the Toledo Bend Reservoir, along the Sabine River, an extremely popular area for camps, and especially fishing. thegillion added Fisherman s Galley to system.